Widely praised and beloved by children, adults, and critics alike, Adam Gidwitz delivers a third serving of eerie new landscapes and fear-inducing creatures in a story sure to delight and frighten fans old and new. In the final book in the series, Adam's brilliantly irreverent narrator leads readers through a fresh world of Grimm-inspired fairy tales, based on such classics as The Juniper Tree, the real story of Cinderella, and Rumpelstiltskin. 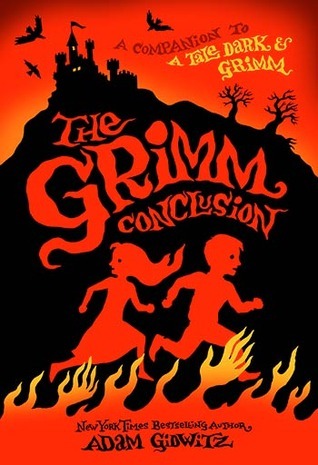 The last book in the series that the narrator invites everyone to read. This is the truly twisted tale of the Juniper Tree (the real story of Cinderella and Rumpelstilskin). Having a small portion to read Adam captured my attention once again with his natural story telling which are brilliantly crafted. These stories will make anyone think twice about sleeping in the dark after reading. This story is engaging, fun, and gruesome making it hard to put down. I give this book 5 out of 5 stars for ages 10 and up. 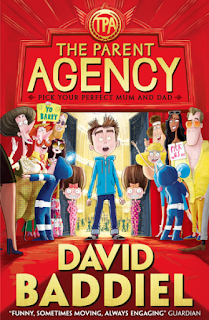 The Parent Agency is an epic wish-fulfilment adventure for every child - and for the child in everyone. Barry said, a third time, "I wish I had better parents!" And then suddenly the entire room started to shake. Barry Bennett hates being called Barry. In fact it's number 2 on the list of things he blames his parents for, along with 1) 'being boring' and 3) 'always being tired'.But there is a world, not far from this one, where parents don't have children. That's far too random for something so big and important. In this world, children are allowed to choose their parents.For Barry Bennett, this world seems like a dream come true. Only things turn out to be not quite that simple. This book was loads of fun to read, and it was just as sweet. I really enjoyed this book because everyone needs to know that your parents will always love you. This book was about a boy named Barry and his birthday is coming up but his parents won't listen to what he wants! As a last resort he wishes for new parents and he winds up in Youngdow where kids are the boss. Barry lands up at THE PARENT AGENCY where in 5 days he has to pick a new set of perfect parents. My favorite character is Barry because he is very relatable to every kid. I love how the author accomplished this. I liked the whole book so I didn't have a favorite part. Jane Austen’s Emma meets The Rosie Project in this quirky, irresistible, romantic comedy from Sarah Strohmeyer, the author of Smart Girls Get What They Want. Addie Emerson doesn’t believe in love. Not for herself anyway. With one year left of high school, she’s more interested in snagging a full scholarship to Harvard than a full-time boyfriend. Absolutely brilliant, I love it! 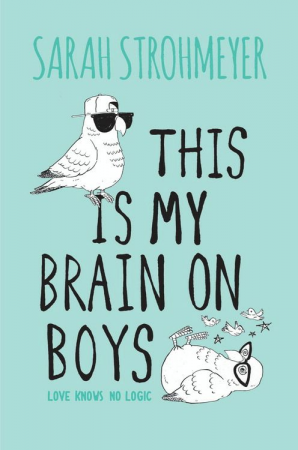 The author is wonderful at entertaining and educating me on how the brain works. This novel is about a girl named Addie. She is doing an experiment on how the brain works when used in various situations. In this case it is love or affection toward another. This book had sneaky and sly characters. The main character really managed to capture my attention and managed to draw me in. Addie got everything she needed for her experiment by pretending to be caught up in a dangerous situation with a boy named Kris who has a thing for her. My favorite character is Kris because he likes her so much that he would get expelled for her. I love the affection he shows for her. My favorite part is when Kris rescues Addie. I love the behavior Addie exhibits throughout the whole book. This book was great, fascinating, and overall brilliant.